Loch a Chroisg is on the outskirts of Torridon close to Achnasheen it lies in an east west direction which makes it pretty good for sunrise and sunset shots but the steep sides of the surrounding mountains which slide directly into the loch can block off the sunlight occasionally to its detriment. When it works though and when there is a first class reflection the loch becomes a rich playground for the photographer. 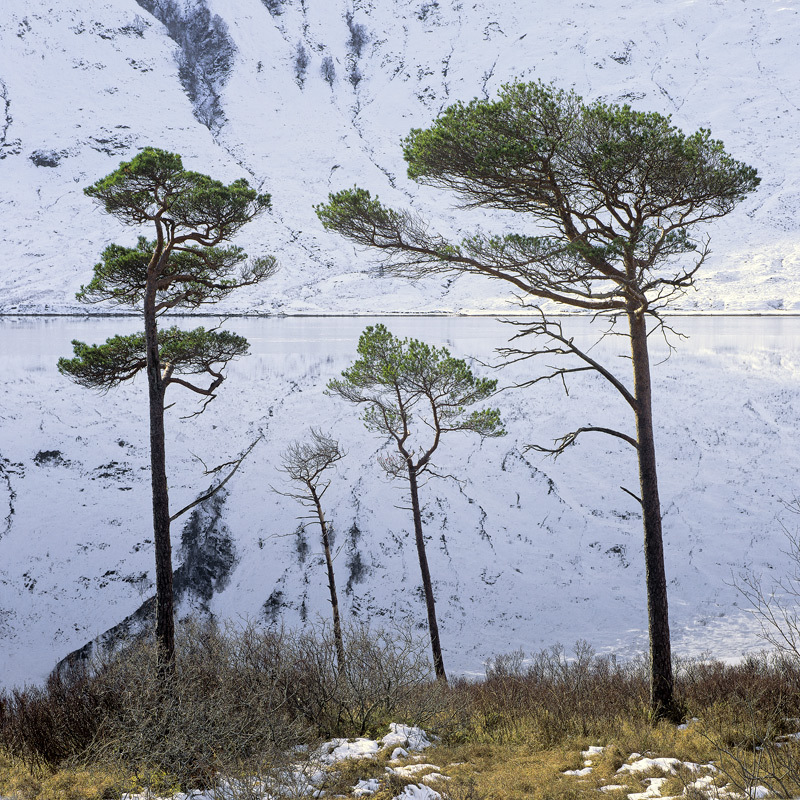 These rather straggly scots pine grow near the waters edge and too me look like a small family with mother and father beckoning their young son and daughter out of the freezing water with its snow covered slopes.